Global warming, rising energy prices and increasing awareness of “green” customers have brought energy efficient manufacturing on top of the agenda of governments as well as of industrial companies. The industrial sector still accounts for about 33% of the final energy consumption. This paper will contribute to a more energy efficient manufacturing by demonstrating how energy efficiency can be integrated into different levels of decision-making in companies. 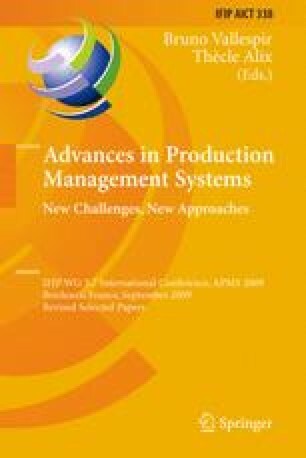 The paper will present methods for measuring and evaluating energy efficiency improvements in manufacturing processes. Different Key Performance Indicators (KPI) will be considered and economic evaluation methods will be outlined. Moreover, an example of the integration of energy efficiency aspects into the Balanced Scorecard (BSC) will show how energy efficiency improvements in the manufacturing process can be facilitated by influencing the tactical and operational level of decision making.